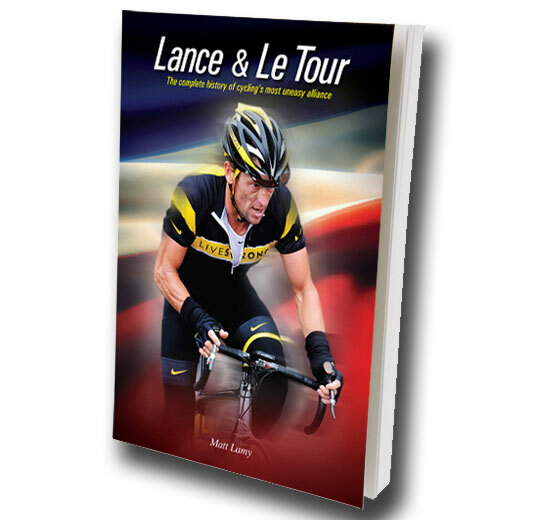 Lance & Le Tour author Matt Lamy will be here on Tuesday evening (from around 8pm) to answer your questions about the book or about seven-time Tour de France winner Lance Armstrong. To ask Matt a question, or join in the discussion, simply fill out the box at the bottom of the Cover It Live panel below. To activate the panel, simply click on the central ‘play’ button. Featuring new and exclusive interviews with the people closest to Lance Armstrong, Lance & Le Tour takes readers behind the scenes of the greatest Tour de France rider’s often fraught – and continuing – relationship with the biggest bicycle race in the world. What was it like to ride alongside Armstrong to his first seven Tour victories? His former team-mates, and some of the biggest names in cycling, Viatcheslav Ekimov, Roberto Heras, ‘Chechu’ Rubiera, Victor Hugo Pena, George Hincapie, Mark Gorski and Graham Watson talk to author Matt Lamy and guide you through each of Armstrong’s wins at the Tour, providing unique insights and stories from his years of dominance. 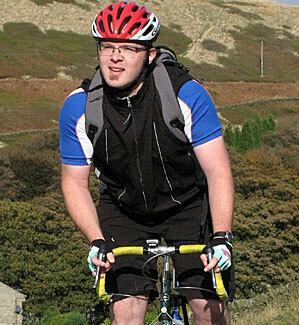 Matt Lamy is an award-winning author and journalist who has contributed to many of the leading cycling magazines, including Cycling Weekly, Cycle Sport and Cycling Active. Lance & Le Tour is available from the Cycling Weekly online shop. The live web chat will start at 8pm on Tuesday evening, November 10, 2009.